A heavy metal detox is a good way to reduce heavy metals in the body, but keeping them from getting in to begin with is an even better strategy. One way to do that is to be aware of the various ways toxins enter the body. For example, arsenic can accumulate in the body from a seemingly innocuous food — rice! Arsenic in rice has been a concern since a 2012 Consumer Report found high levels of the heavy metal in various kinds and brands of rice. Shockingly, it found that one serving of rice contains a week’s worth of arsenic for a child. Since white rice is one of the grains we consume from time to time, it was important to me to research how widespread this problem was and how we could remedy it. Arsenic is best known as the poison of choice in the Middle Ages, but this heavy metal still causes health issues today. It is actually a naturally occurring substance in the earth’s crust and is naturally found in soil and water. But not everything natural is safe for the human body. Because it’s in the environment around us, it’s inevitable and normal for some arsenic to make its way into our food. But some areas are more contaminated with naturally occurring arsenic than others (like places that are being mined) and may contribute to arsenic exposure. Inorganic arsenic has been found to be carcinogenic and increases risks of bladder, lung, and skin cancers as well as skin discoloration, Type 2 diabetes, and cardiovascular disease. Organic arsenic, though not considered a carcinogen, is still a health concern and can become toxic in the body. When heavy metals accumulate in the body they can interrupt normal cellular processes by binding with protein sites and replacing the metals that naturally occur in the cell. This affects the functioning of mitochondria (the energy makers of the cells). And it’s not just crunchy mamas that are concerned about arsenic in rice. The FDA has issued several studies on the topic. High arsenic levels in rice is not a new problem. The Food and Drug Administration has been monitoring arsenic contamination in foods for over 20 years. In 2012, after new technology for testing inorganic arsenic became available, scientists commissioned by the FDA surveyed the levels of arsenic in common rice products. The FDA’s data show that nearly half (47 percent) of infant rice cereals sampled from retail stores in 2014 were below 100 ppb inorganic arsenic, the level set by the European Union for rice and rice products destined for infants and children. It also found that a large majority (78 percent) was at or below 110 ppb inorganic arsenic. The FDA compared these infant rice cereal samples to more than 400 samples it collected at the same time of other foods commonly eaten by infants and toddlers. 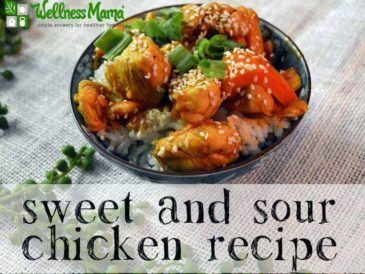 The non-rice foods were found to be well below 100 ppb inorganic arsenic. This means that over half of infant rice cereals sampled were over the “safe” limit, and that non-rice foods contain far less arsenic than those that do. I already don’t recommend rice cereal as baby’s first food, but based on this data consuming rice frequently doesn’t seem to be a good idea for anyone. Since that time, the FDA has conducted more studies on the risks of arsenic exposure for pregnant and nursing mothers, and for infants consuming rice cereal. The results continue to show that arsenic in rice is a health risk and exceeds safe limits unless precautions are taken. Rice is particularly good at absorbing arsenic. It is more likely to be grown in flooded areas that help rice to absorb the water-soluble arsenic. Rice is often grown in areas that were once used for cotton. 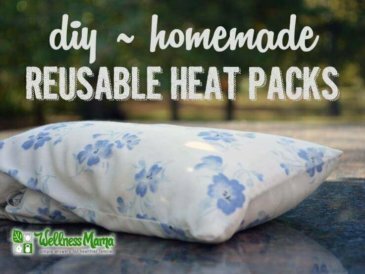 Cotton was grown using agricultural chemicals containing arsenic. When rice was first grown in these areas it often didn’t survive because of the arsenic (a disease called straighthead). New varieties were bred to be resistant to straighthead. These varieties still uptake many times more arsenic than other grains. Also, land where chicken manure from concentrated animal feeding operation (CAFO) was used as fertilizer would also contain higher levels of arsenic. That’s because arsenic was often added to conventional chicken feed to fatten chickens faster. Another way arsenic content can get into the environment (and then into rice) is by industrial pollution. Some industries (like those connected to mining, coal, wood preservation, and pesticides) pollute the environment with inorganic arsenic. Inorganic arsenic is the most problematic form as it’s not bonded to carbon like naturally occurring arsenic. It can even persist in the environment for over 45 years! So, even though many of the pesticides that contain arsenic are now banned, inorganic arsenic contamination persists. Thankfully, there are a few easy ways to reduce the risk of arsenic exposure from rice. When it comes to arsenic in rice, an organic label isn’t going to keep you safe. Even organic rice has arsenic in it (and sometimes more than the conventional brands!). Here’s how to find safe rice for your family. Much of the arsenic that is absorbed into the rice is held in the bran. The bran is stripped away to make white rice, so white rice has lower levels of arsenic. White rice is also an overall healthier choice than brown rice. Many believe that brown rice is healthier because it contains more nutrients (which is true), but the nutrients aren’t as bioavailable as white rice. All grains contain some amount of anti-nutrients (compounds that block absorption of nutrients). The bran of the rice that is removed when milled into white rice contains most of the anti-nutrient phytic acid. Studies show soaking rice overnight reduces arsenic levels by 80 percent. I recommend soaking grains anyway for best digestion, but this is one benefit I didn’t learn until later. Soak rice overnight in 6 parts water to 1 part rice. Discard water and rinse rice before cooking. 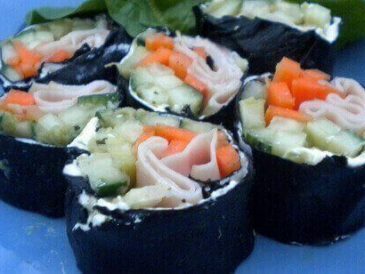 This should bring any arsenic in the rice to relatively low levels. 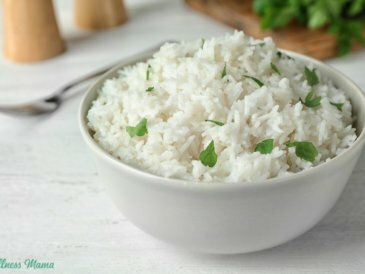 If you don’t have time to soak your rice (or forget to) you can still remove a lot of arsenic by cooking it correctly. Cooking rice like you would pasta (cooking it in excess water and draining) can remove some of the arsenic. Researchers found that going one step further and cooking rice with continuous fresh hot water (like in a coffee pot) can remove 50 percent of the arsenic. 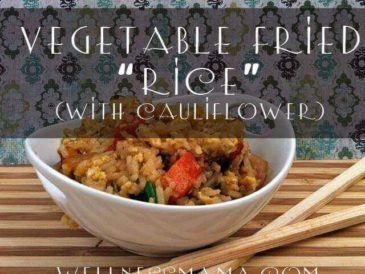 The FDA recommends 6 to 10 parts water to 1 part rice. The Consumer Report mentioned earlier found that California basmati rice was the least contaminated with arsenic. Lundberg Family Farms (a California company) is my favorite brand because they test their rice and publish the results for the public. Some grocery stores carry their rice or you can order it online. 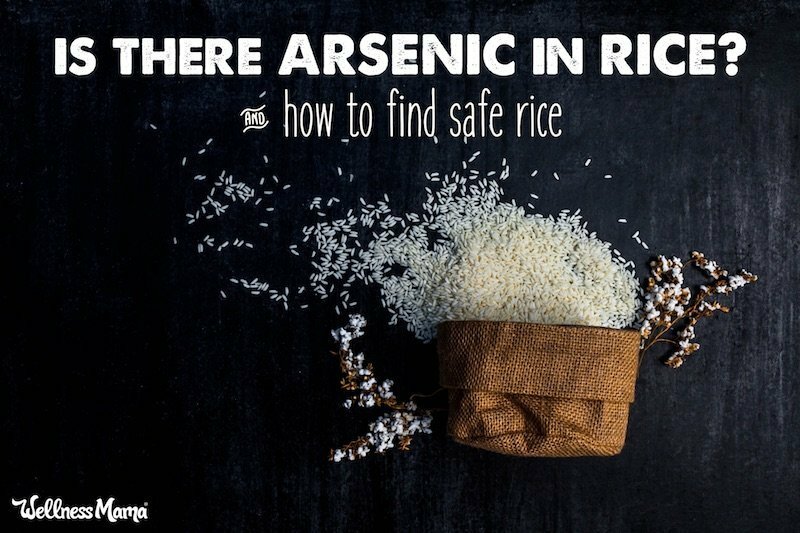 Though their rice is lower in arsenic than other brands, it still contains some arsenic and should be properly prepared to reduce arsenic even more. If you can’t always follow these guidelines for safer rice keep your rice intake to about 1 serving a week (especially for kids) and no rice for babies. Pregnant and breastfeeding women should be cautious of how much rice they eat even when it is prepared properly. Also remember that this includes all rice products like rice pasta, brown rice syrup, rice milk, rice cakes, infant rice cereals, etc., (which aren’t very healthy anyway). Variety is always best, so if you consume grains try to vary them or swap them out for veggies (which also have more nutrients). Some believe that wild rice is the best choice to avoid arsenic, but it’s not necessarily any better than white or other rice varieties. Wild rice still takes up a lot of arsenic from the environment. Growing it in an arsenic polluted area will cause it to have high levels of arsenic. The best bet is to choose organic rice from a reputable company that is transparent about it’s growing practices and test for arsenic. Though there is arsenic in rice and arsenic exposure is a health risk, it’s not necessarily a reason to avoid rice all together. 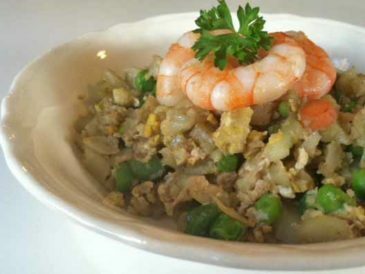 Rice can be eaten safely when you choose the right rice, prepare it properly, and eat it occasionally. Do you eat rice? Why or why not?